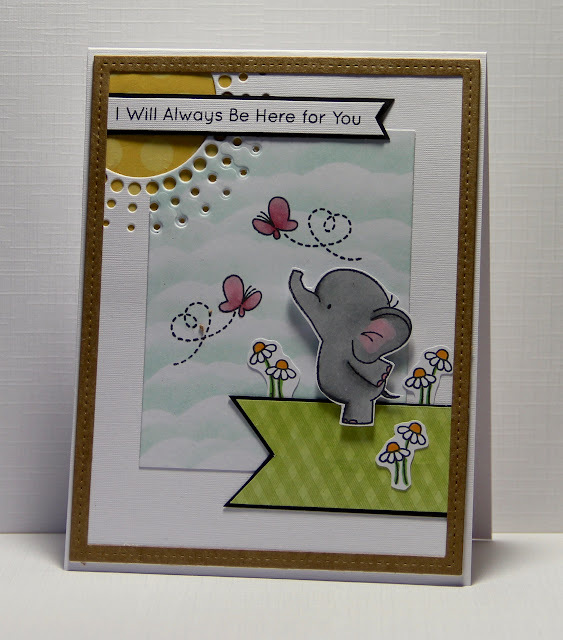 I can't get enough of these sweet MFT elephants - as with the other card I sponged a sky background and then added a Memory Box sunburst in the corner. It looked a bit unfinished surrounded by white so I framed the little scene with a kraft border. It's quite a difficult sketch I think but I'm really happy how it turned out! Absolutely precious image and card!! Thanks for joining us at Mojo Monday.